A kitchen remodel is a complex project that requires the help of an experienced, highly skilled contractor. Remodeling your kitchen can be a significant investment, so it’s important that you leave the project in the hands of a contractor with the right skillset, a great work ethic and an impeccable reputation. One of the top contractors in Maryland, Granite Works, shares five important qualities you should look for in a remodeling contractor. Experience – A project that can significantly impact your home, such as a kitchen remodel, should only be entrusted to a contractor with a proven track record–definitely someone who has been in the industry a long time. Granite Works has been in business for over a decade. Each member of our team brings significant know-how and experience to the table. Certifications – Reliable contractors are recognized and certified by the manufacturers of products they offer. Granite Works boasts strong business partnerships with industry-leading brands such as Cambria, MSI, Silestone, JSI, CNC, Crestwood and Luxor, allowing us to offer and fabricate quality materials for your home upgrade, including granite countertops and kitchen cabinets. 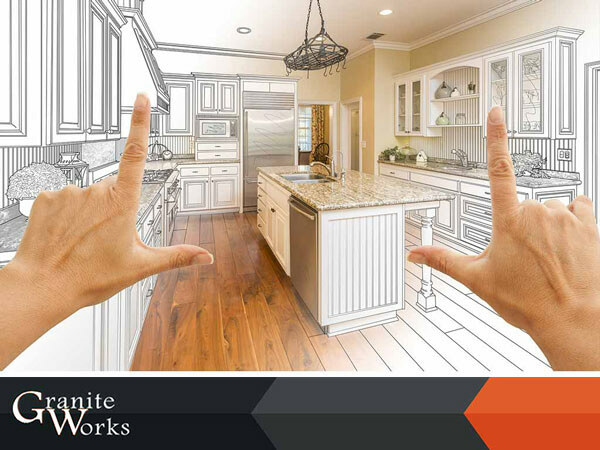 Insurance – Whether you’re considering a minor or major kitchen remodeling project, it’s important to protect yourself against unnecessary liabilities and expenses resulting from accidents and other unexpected incidents. When a contractor is insured, you won’t have to worry about this. Recommendations – Contractors that take pride in their craft will come highly recommended by previous clients and other reliable industry sources. Seek referrals from other property owners who have dealt with your contractor to verify satisfactory performance. Commitment – Pick a contractor who’s committed to providing you with exactly what you want. At Granite Works, we deliver on your expectations, whether you’re looking for good-quality cheap granite countertops or high-end kitchen cabinetry. When investing in your home, you expect no less than the best, high-quality services. That’s what Granite Works guarantees. Get started with building your dream kitchen today. Call us at (301) 640-5010 or message us through our online contact form to schedule a consultation appointment with one of our in-house kitchen remodeling experts. We serve clients in and around Maryland, Northern Virginia and Washington, DC.